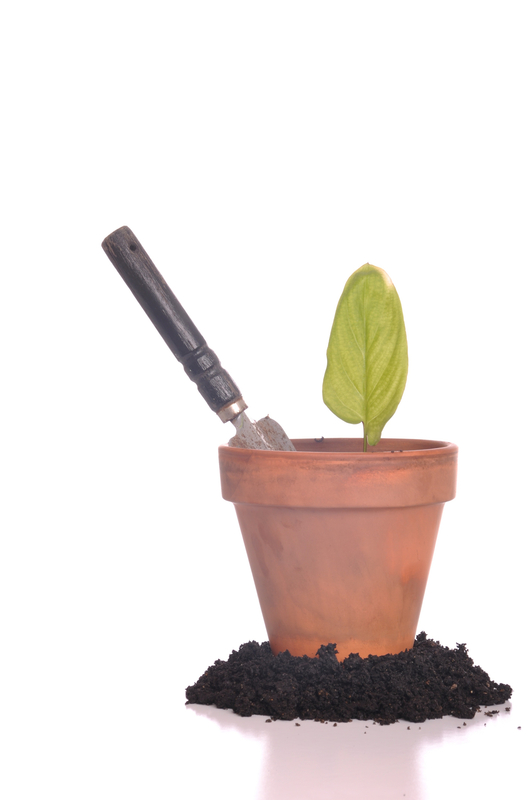 March is a good time for starting potted plants that have overwintered in your greenhouse into summer growth. 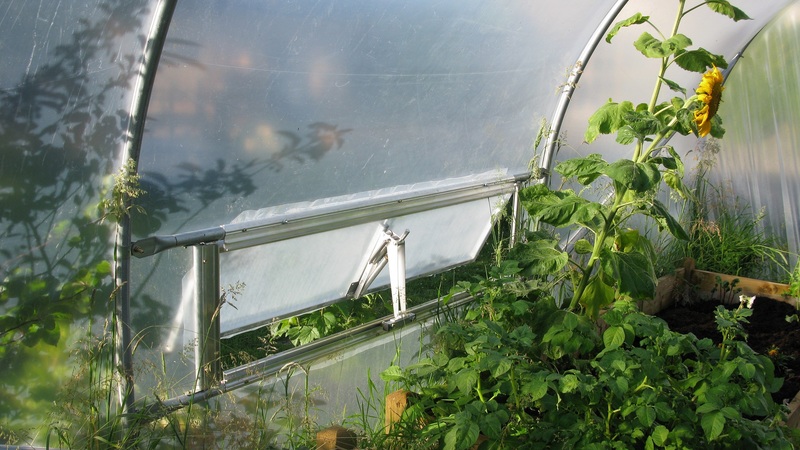 Although greenhouse temperatures vary widely at this time of the year, most of the hardest frosts will be over and new growth should not be killed back if you keep the vents and doors closed at nights. Plants that don’t need repotting just need tidying up, watering and maybe feeding. For those that needrepotting the procedure is simple. Tip a plant out of its existing pot. A few plants like Amaryllis need to be kept confined, but most will probably need bigger pots this time if they needed frequent watering and feeding last year. Other warning signs of pot-binding are roots growing out the top or bottom of the pot, and a solid mass of roots and little soil when you turn a plant out of its pot. Don’t use a much larger pot; about two centimetres of soil or compost all round is enough for roots to fill before it gets stale and soggy. Remove any loose material between the plant roots and use it as mulch in the garden. You can pot up plants with peat compost, soil or a mixture of both. Pure peat is expensive, hard to wet when fully dry and favours vine weevils. Stand the plant in a part-filled pot so that its original soil surface is about a centimetre below the top and fill up to there with slightly damp, gently firmed potting medium. The space between the surface and the top of the pot is to hold water poured in when watering. Water the pot/s right away, and if the plant roots have been disturbed much (like rooted cuttings and divided plants) give some shade for a week or so. 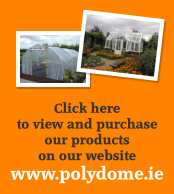 Sooner or later, everyone who has a polytunnel or glasshouse will think about a heated propagator. It lets you raise many plants earlier, and germinate some others that would be impossible in normal greenhouse conditions. Unheated propagators are basically plastic boxes with transparent lids that raise the temperature a bit higher than the rest of the greenhouse, but although cheaper than heated ones they are not as effective. The best (and most expensive) models have openable vents in the lid to reduce overheating in sunny weather and thermostats that switch off the heat when the preset temperature is reached. The smallest will take one or two full-size seed trays but half-size trays are easier to handle. Good headroom inside lets you keep potted plants and cuttings in there if you need to. 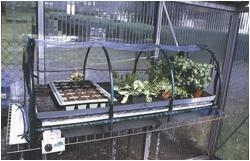 You can build a cheap propagator with a soil warming cable and a cloche cover. Above all else, take care with electricity. Most propagator heaters run on mains voltage electricity, which does not mix with water and dampness. All wiring and installation for outdoor and greenhouse uses should be done by a registered electrical contractor, using industrial type plugs and sockets (or a low-voltage system with a voltage transformer), armoured cables and a residual current device. 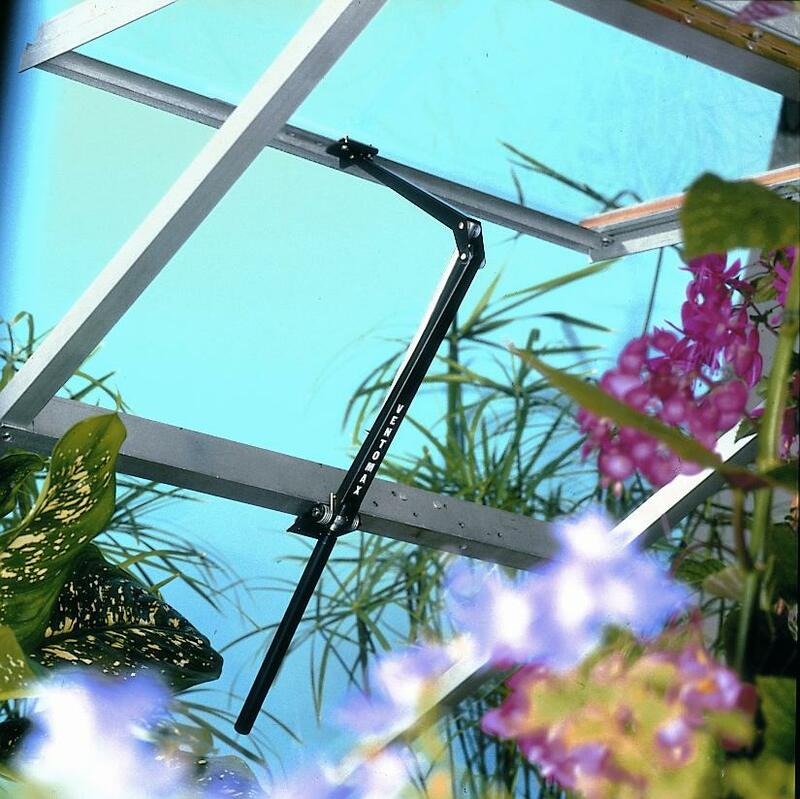 Check propagators daily for temperature (a recording thermometer helps) and adjust the vents for the expected weather. Check that seedlings and cuttings have enough water, but not too much. Keep the propagator clean and tidy and free from dead or dying plant material to control fungus diseases. Aluminium foil can be used to shade it on very sunny days, and bubble-wrap is useful for cold nights. Take seedlings out of the propagator before they get tall and spindly from lack of light. Every year somebody predicts a hard, cold winter. If they are right this year, the roots of plants such as Dahlias will be killed when the soil freezes. To keep them safe you should lift the root tubers and store them indoors until spring. 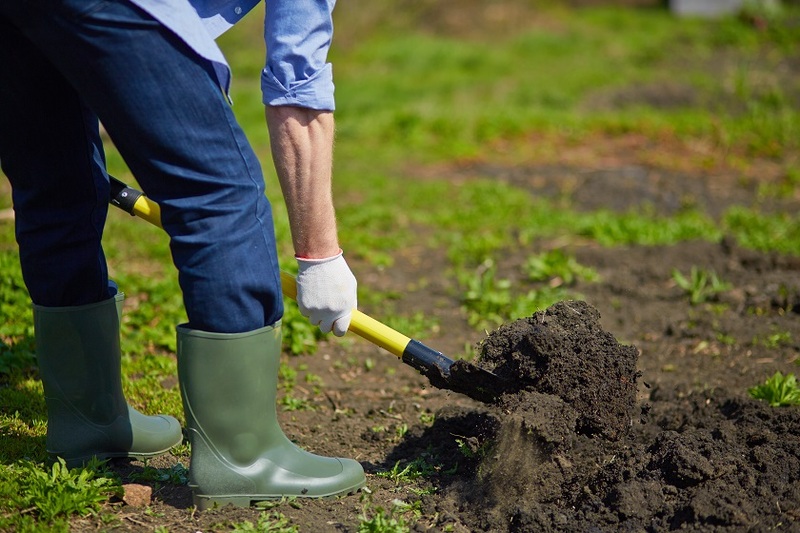 As soon as their stems are blackened by frost, dig up the plants carefully, avoiding root damage. Gently shake off the loose soil, and cut the stems back to about 15 centimetres. 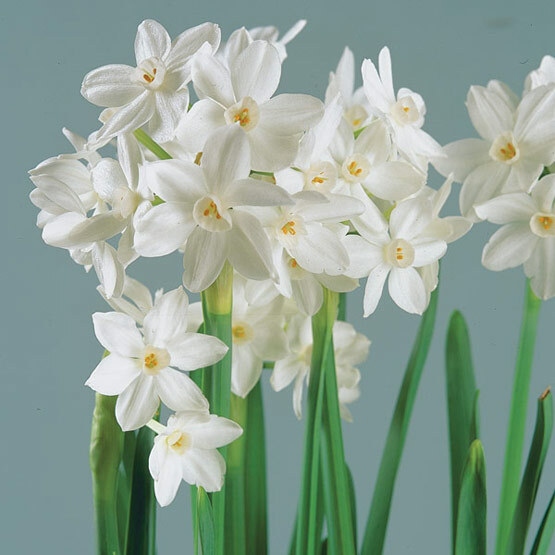 If you have different varieties label them with their names and colours right away – you may well forget which one was which before spring. Stand them on wire mesh or similar in the greenhouse for a few days to dry off fully. Then place them upright on a layer of dry peat or soil in containers, filling more in around them to cover the tubers. Keep them dry and cool but frost-free under staging until spring, and then divide and plant them out a fortnight or so before the last likely frost date for your area. If you want to take cuttings, start them growing in the greenhouse in February and use the new shoots as cuttings when about 75mm high. 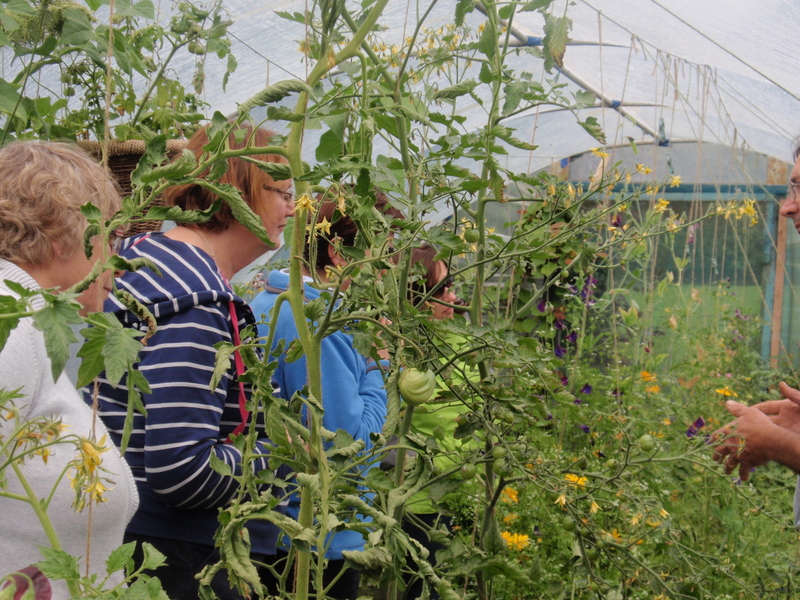 A customer of ours – Mr Tanguy de Toulgoet, is hosting a training session to help people make the most use out of their Polytunnels. It is on the 3rd of October and he is in Durrow, County Laois. He will cover plant production, herb drying, companion planting, winter storage and much more. The cost is 50 euro per person, it is a half day course and starts at 10am and finishes at 1pm. As the weather gets warmer in spring, rising greenhouse temperatures are controlled by opening ventilators and doors. The air can get very dry, and this is a problem for plants which prefer it moist, such as cucumbers, foliage plants and many orchids. Damping-down helps. You sprinkle the ground (and staging if any) with water using a hose or watering-can. The evaporation of the water humidifies and cools the air, reducing water stress on the plant leaves. The humidity also prevents tomato pollen from drying out and encourages a better set of fruit. In warm weather the water will quickly dry off and you may need to damp down more than once a day. Capillary matting or old carpet holds more water than a concrete path and they keep the humidity up for longer. In really hot weather you may need to spray the plant leaves as well. Damping down discourages some pests like red spider and thrips which don’t like the humidity. On the other hand, the same humidity can encourage the botrytis fungus that causes grey mould, so carefully remove all rubbish and dead leaves, and don’t damp down late in the day to let the greenhouse dry out before dark. Whether it’s Bali or Ballybunion, everyone wants to go away for a break. So what happens to your tunnel or your glasshouse while you’re gone? Automatic watering is ideal. Be sure to set the controls well in advance so you’re sure it’s working well and regularly, and delivering enough water. Ventilation is easier; you can leave the vents wide open in mid-summer without fear of night frost but automatic vent openers are less liable to storm damage. They need no electricity and are easy to fit. Wedge doors nearly closed or screen them with wire mesh to keep out pets and wildlife. Bribe a neighbour to keep an eye on it with free produce or a promise of looking after theirs later. Automatic watering and ventilators are good but nothing beats the human touch: unexpected problems can crop up (pun deliberate) and the comings and goings of neighbours deter thieves. Move out pots to a sheltered, shady spot where they can get rain or be watered if needed. Remove more bottom leaves from your tomato plants than usual: the leaves on the top 70cm of the plants contribute most to their growth. This reduces their need for water and lets more fresh air around the plants, which helps control fungus diseases. Remove flowers and developing fruit from plants to reduce the amount of unwanted and over-mature fruit growing while you’re away. 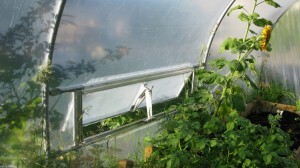 It also further reduces the plants’ need for water. Tidy up and clear out any weeds; also dead and dying leaves, dropped fruit and other plant remains tha t could host diseases. Bon voyage! 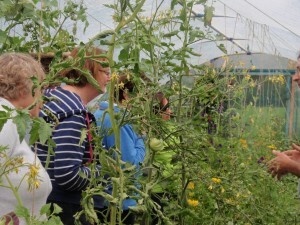 Everyone with a polytunnel or glasshouse is tempted to grow tomatoes – and why not? They taste so much better when picked just before eating. Here are a few tips for the best crops. Choose well-flavoured varieties like Shirley or Alicante. Some traditional varieties like Moneymaker are insipid. If you are buying plants, look for healthy ones about 20cm tall. Yellow leaves indicate poor feeding or cultivation and bluish or purplish leaves indicate chilling: such plants will take time to recover and crop later. Drawn, leggy plants will be the same. If planting in the soil try to have the plants in slight hollows rather than on top of mounds, so water will soak in rather than run away. Water them in well, and let the ground surface dry off between waterings. Vine tomatoes need support: if using canes put them in before the plants to avoid root damage. Strings are better than canes for plants in grow-bags. Cherry tomatoes are wide and bushy plants, so give them plenty of room to spread. Feed the plants with high-potash feed as per the instructions, starting when the first fruits appear. Tie in the growing vines to canes or wind the support strings around them regularly, as stems are hard to train when they thicken up. Hook very long trusses up on themselves or higher leaf-stems to keep them up from mud and slugs. Break out sideways any side-shoots growing from the angles between leaf-stems and the main stem. Snap off upwards any dying bottom leaves to let light and air around the fruit. Bush tomatoes need no training. Pick a tomato by thumbing down on the knuckle just above it while twisting the fruit upwards. 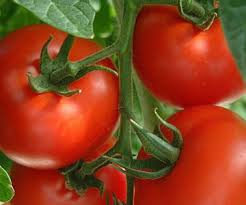 The green oil on tomato plants is irritant; wash your hands with soap and water afterwards. UTV’s radio station U105FM broadcast at the Hillsborough Garden Festival from our Greenhouse on Friday. It was fascinating to see them getting ready – looking for satellites and then to meet Radio and TV presenter Carolyn Stewart who dealt with all the joys of outdoor broadcasting with calmness and panache. 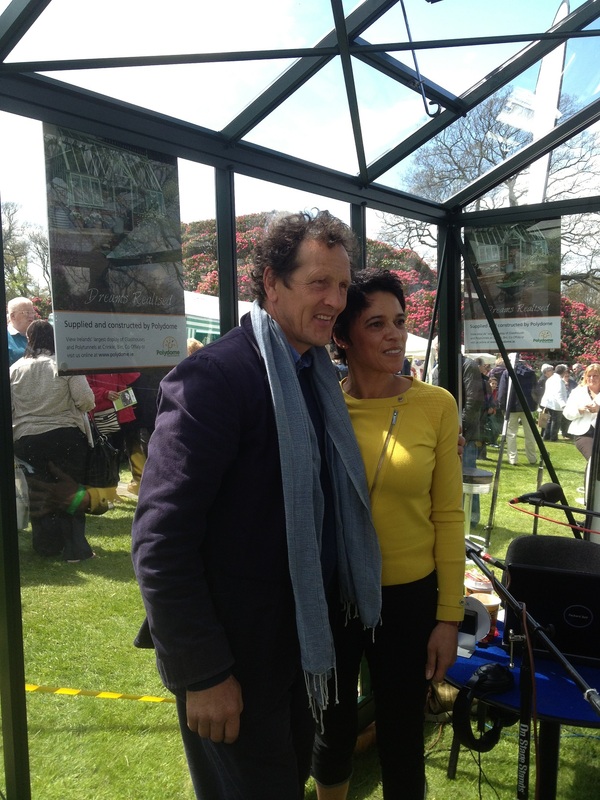 She interviewed BBC TV Gardening Guru Monty Don in our Greenhouse as well as musicians and folk associated with the Show not least of which was Jonathan Pyle, Director of Polydome. Carolyn Stewart and Monty Don are seen here in the photograph.